In real time - and from anywhere! Our solution brings Search and Rescue to a new level of efficacy. Our I-Streme App sends tracking data and biometrics from ANYWHERE in the planet using 3G, wi-fi or satellite. A call center, or rescue team can view their customers’ biometrics and geo-location in real time. Customers can also send pictures, post dispatches, chat, or send an SOS. Connect to multiple wearables on a single app. Share heart rate, blood sugar, oxygen saturation, temperature, NIBP and more, from anywhere! 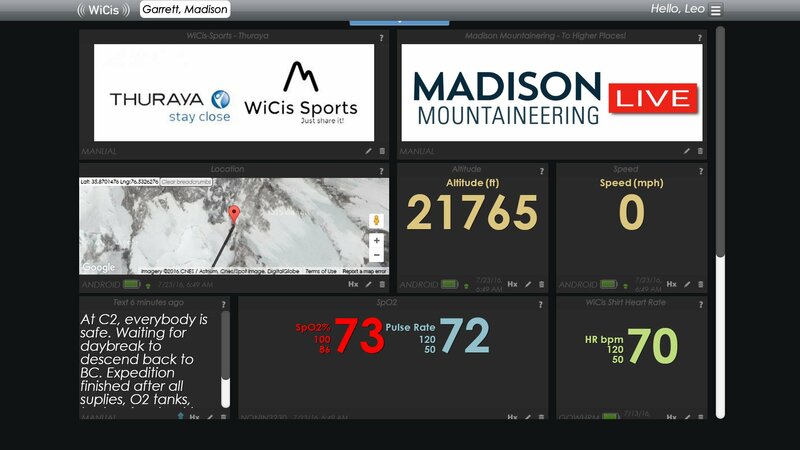 All data can be viewed on a PC, MAC or smartphone in real-time. A Call Center, Rescue Team or your doctor can view Customer’s Data on any Browser and in Real-Time! Live Tracking allows to remove the” search” out of Search and Rescue. Real-time posts on Facebook, Twitter and Instagram. Posts contain link to live Dashboard! Location info including GPS, direction of movement and altitude. 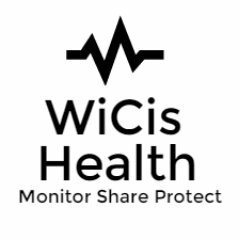 The WiCis I-STREME solution allows users to monitor their vital signs and share them in real time over the internet. It is a mobile app that connects to wearables and uses 3G, 4G, Wi-Fi or satellite to stream information about vital signs and tracking data to a web server. The data can then be viewed one second later on any internet-connected device. The solution is fully compatible with social media platforms such as Facebook, Instagram and Twitter. This solution has been designed to help anyone in harsh, remote environments to work and travel farther, better and safer. 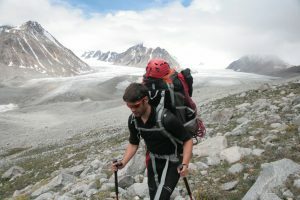 WiCIs I-Streme has supported several expeditions in the Himalayas and Pakistan. We use I-Streme on our wilderness guide training expeditions. They have the most robust, secured and reliable solution. It’s like having 7 apps in one and it connects to 4G, WIFI or satellite very automatically.